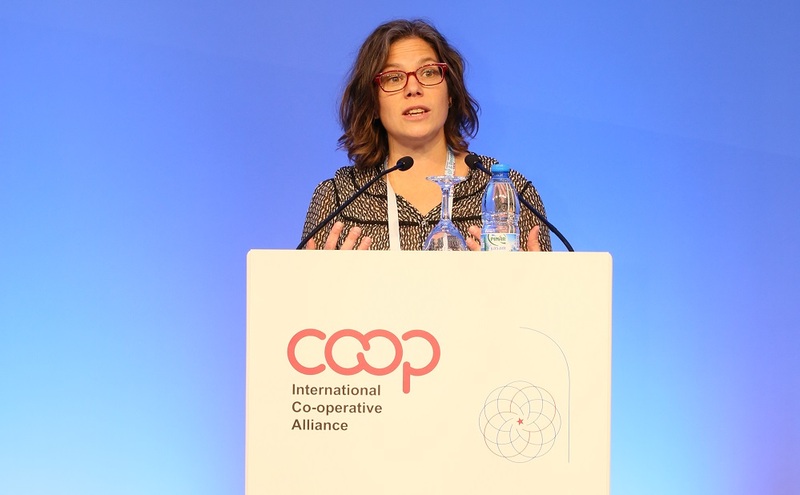 COPAC revealed the preliminary findings of its research work on women’s empowerment and gender equality in cooperatives at two global conferences in Antalya, Turkey in November 2015. Dr Fiona Duguid, one of the researchers developing the report, presented the findings on behalf of COPAC at the World of Work Conference organised by the International Labour Organization (ILO) and the International Co-operative Alliance, as well as at the Alliance’s Global Conference. According to Dr Duguid, the literature review revealed a general lack of gender-specific information on cooperatives, including universal, standardised data, empirically-based research studies on how the cooperative model contributes to gender equality and women’s empowerment, academic research, and comparison studies. However, the topic of women’s cooperatives is of increasing interest. Agriculture: The sector shows great potential for reducing poverty through support to women farmers, but faces many challenges, including access to land, inputs, seeds, finance, and extension services. Finance: While female membership in financial cooperatives is on the rise, women are still greatly underrepresented in leadership positions. Consumer: The sector provides support and viable employment to some of the most vulnerable women; however, these economic opportunities tend to be in the most undervalued and exploited sectors – domestic services, handicrafts and childcare. Based on the research, Dr Duguid made recommendations to improve gender equality and women’s empowerment in the cooperative movement. These recommendations include encouraging academics and international organisations to engage in further research on the topic; collecting and making available annual, standardized disaggregated data about women and cooperatives; developing indicators to measure the impact of cooperatives on gender equality and women’s empowerment; advocacy and awareness building for the cooperative model; inclusion of women in leadership positions; and creating and sharing practical publications for cooperatives on gender equality and empowerment. The full COPAC report is expected to be released in February 2016. Want to learn more? Download Fiona Duguid’s presentation.